It can be difficult to be creative especially if we aren’t given the space and the capacity to think in the way we uniquely do. Take brain breaks. This isn’t just for kids in school! Our brains need some time to regroup and reset to get us thinking to the best of our ability. This can be a quick stretch, dance party, or just a walk around the office. Take a few moments to recenter your thoughts. Try different locations. We all can’t be innovative staring at our computer screen. Try sitting outside, sitting on the bean bag chairs that are collecting dust or use a conference room. Change up the location. Consider off hours. 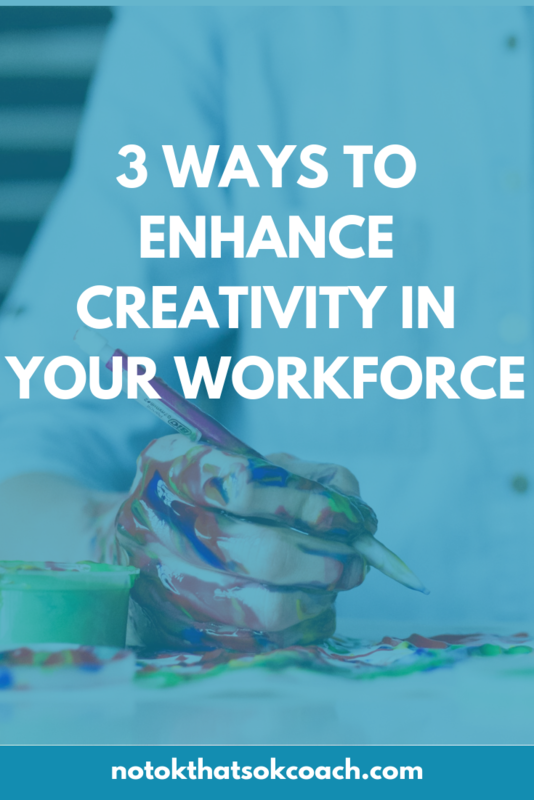 9-5 isn’t always the most creative time of day for people. Consider flex time and off hours to get the most out of your employees.